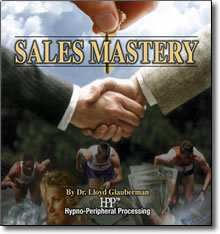 Sales Mastery HPP – Dr. Lloyd Glauberman – Discount! Improve Your Sales Success — Effortlessly! One of the challenges with traditional sales and negotiations training is that it requires learning and memorizing foreign techniques rather than harnessing the natural instincts we all have. At our core we all desire to influence others and succeed in life. We are born with natural sales strategies – watch as children probe their parents with requests and questions- to get the outcome they want. Children are masters at influencing others to get what they want. Those intuitive skills are still inside all of us. What if you could awaken these dormant sales skills and dramatically improve your ability to sell. Dr. Lloyd Glauberman’s revolutionary HPP method will stimulate your unconscious mind to do just that. Sales Mastery is a powerful program that energizes you to sell naturally and effectively, using skills you already possess. No longer will you be trying to employ someone else’s strategy for success in these areas, but you will be intuitively utilizing your own unique abilities to listen, influence, compete and close! Whatever your sales goals are, give yourself that extra edge by programming yourself for success with Sales Mastery.